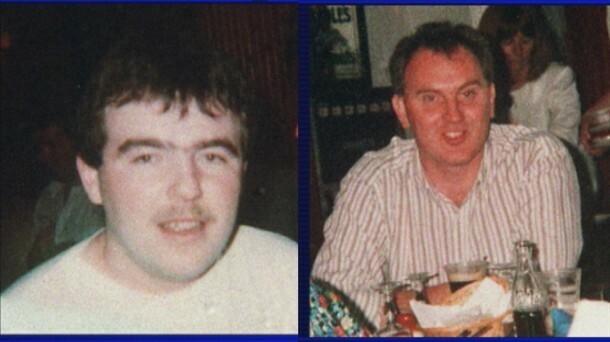 The families of IRA men Martin McCaughey and Dessie Grew have rejected an inquest jury’s verdict that SAS soldiers had used “justifiable force” in shooting them dead. On Wednesday an inquest jury ruled that SAS soldiers had been justified in shooting the IRA men dead at a mushroom shed near Loughgall, Co Armagh on October 9, 1990. It later emerged that the SAS soldiers had fired 70 shots during the incident while the IRA men had not opened fire. The dead men’s families claimed the SAS had shot them as they lay fatally wounded on the ground rather than arresting them. However the inquest jury rejected the families’ claims and found the SAS had used “reasonable force” in shooting the IRA men dead. However the families rejected the jury’s verdict and questioned why key evidence was withheld from the inquest. “We had fought for more than 20 years to get an inquest which could deliver an effective verdict, which properly reflected the evidence which was presented. “My father Owen successfully took the Chief Constable all the way to the House of Lords to ensure that the PSNI handed over all documents concerning Martin and Dessie’s deaths. “Yet not a single police or army log, which would have contained crucial contemporaneous information concerning the killings, could be apparently found. QUESTIONS WHY EVIDENCE WAS WITHHELD? In 2011 Mr McCaughey’s mother Brigid took another legal challenge to the Supreme Court ( formerly House of Lords) to force the PSNI and British army to explain what plans they had made to arrest the two IRA men. “Despite this allegedly being an arrest operation, not one soldier who gave evidence could articulate what the plan was and the jury has failed to deal properly with that," said Peter McCaughey. During the inquest Mrs McCaughey was forced to take another legal challenge to ensure the families’ legal team were allowed to question the SAS soldiers about their involvement in previous fatal killings in Northern Ireland. Soldier `A’, who led the SAS unit which shot Grew and McCaughey, had previously been involved in the shooting dead of another IRA man Francis Bradley four years earlier. `A’ initially gave evidence at the inquest but failed to return to the hearing after it was ruled he could be questioned about his involvement in the Francis Bradley shooting and evidence appearing to show that all three IRA men had been shot while lying fatally wounded on the ground. “We’re very disappointed that the jury has returned a verdict which fails to deal with critical aspects of some of the evidence. “In dealing with the shooting of Dessie Grew, Soldier `A’ said that one of his unit had shot Mr Grew, not because he presented any threat, but because he showed “signs of life”. “That was a clear and unequivocal account of the unjustified shooting of a wounded man which occurred after `A’ had ordered a ceasefire". “Soldier `D’, who administered what was effectively a coup de gras to Dessie Grew, could have kicked away his weapon had he genuinely believed that he posed any threat”. 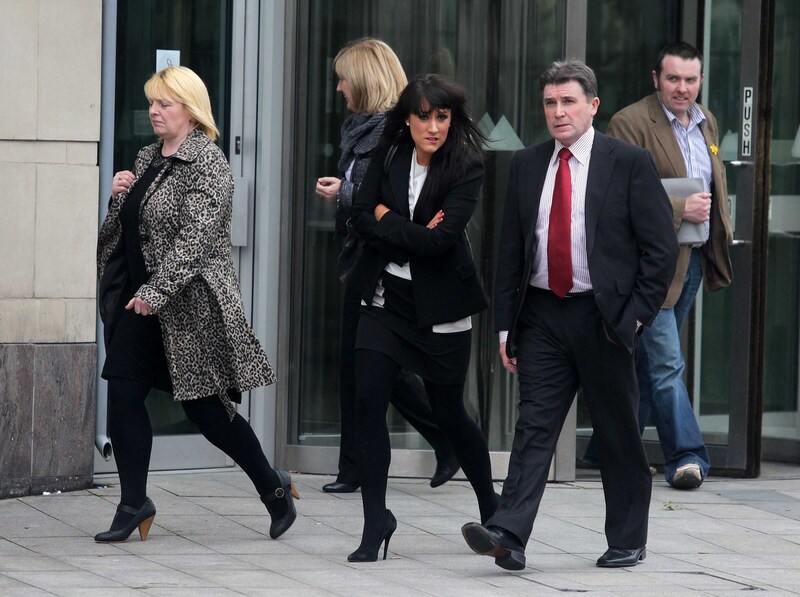 “Two pathologists, Dr Derek Carson, former Assistant State Pathologist in Northern Ireland and Dr Nat Cary both gave agreed evidence that the only wound which Martin McCaughey positively sustained whilst upright had entered his back and exited his chest. “Clearly Mr McCaughey was not facing the soldiers when he sustained that wound and clearly therefore was not advancing towards soldiers when he was shot. “Both pathologists agreed that the remainder of his wounds were not inconsistent with him having being shot whilst on the ground and that he received a fatal head wound from a position in which no soldier admits to having fired a shot.